Character actors in film and on stage have been some of more memorable individuals as the performers we love to hate, or who amuse us with their antics when paired with a more handsome leading actor. There have been those, however, whose performances as the "bad guy" elevated villainy to a place of great distinction. Such is the legacy of John Doucette. Jumping from one to another, the teachers felt sorry for me. Every three months I'd attend a new school and give them my dossier, they'd look at that and say, 'This poor kid', and take me into the teacher's room and let me have lunch with them because I didn't know anybody. Mr. Doucette got his authoritative training early on when his fifth grade teacher put him in charge of the class in her absence. He had no trouble maintaining order when the students would act out, so he became the leader for the Pledge of Allegiance and flag bearer at the start of the school day. After graduation, his family relocated to California. John then attended Lincoln High School in Los Angeles, the alma mater for many aspiring actors. The Drama Department, under the direction of a German tutor, performed four Shakespearean plays a year, a one-act play each week, and a radio show three times a week. Mr. Doucette credited the guidance he received here as instrumental for him and many other students to believe in and push themselves to be the best they could possibly be. Among the other alumni of the school who benefited from this training were Robert Young and Robert Preston. After obtaining his high school diploma, Doucette enrolled in the Pasadena Playhouse, where he joined the ranks of an impressive list of fellow performers such as George Reeves, Gig Young, William Holden, Raymond Burr, and Randolph Scott. Mr. Doucette appeared in 27 plays over the next two years. As with other performers, he appeared in concurrent productions at more than one location, namely the Main Stage and the Patio Theatre under the names John A. Doucette, John Blood, John Arthur, and Art Doucette. His first six performances were at the LAB (December 1940 through May 1942). In January 1943, he appeared in Heaven Can Wait. A copy of the program is included. Please note that Victor Jory directed the play. Also, in the box for the Pasadena Playhouse Association, Charles F. Prickett is listed as General Manager. 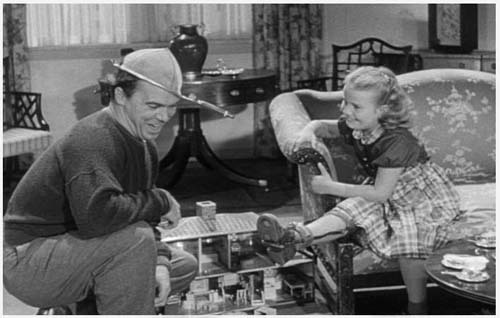 Charles was the husband of actress Maudie Prickett (Mrs. Tazy in the Adventures of Superman episode, The Deserted Village). It is during his stint at the Playhouse that he acquired his first film role in Two Tickets to London (1943) as a ship's mate. Only two weeks after filming began, however, he was drafted for WW II. Due to the war, John was unable to complete his studies at the Playhouse and, therefore, did not receive his Theatre of Arts Certificate. During the War, Mr. Doucette was involved in the European campaign. His first assignment was in the Army Air Corps driving a forklift in a warehouse for motors. He was later reassigned to the infantry and trained in both England and France in preparation for Germany. His first battle was at Metz, then Battle of the Bulge, ending up with General Patton, whom he admired. His experience with Patton served him well in later years when he would appear in the film bearing the general's name with George C. Scott. With the war over, John, as with so many actors, was anxious to resume his career in theater and returned to the Playhouse. He performed in the Midsummer Drama Festival in 1945 under the name Art Doucette in Golden Boy, Milky Way and The Man Who Came to Dinner. For Angels Amongst Us (May 1946), Gilmor Brown himself and William Fawcett (Pete of the Fury television show) were among the cast members. Sometime after this, John met up with one of his Playhouse friends, and auditioned that very evening for a character with a German accent. Times being what they were, he had no car, so he hitchhiked to the theatre. This was a common practice with the country recovering from the war, money being tight, and automobiles being too costly. His audition impressed the star, Mae West, except for his height. She suggested he get lifts for his shoes and the part would be his. He not only bought those lifts, but also a trunk, the staple of every traveling actor, with money borrowed from his mother. The play, Come On Up, Ring Twice had a tour from 1946-47. The cast also included actors Don Harvey (Atom Man vs. Superman serial, The Adventures of Sir Galahad, and Batman and Robin) and Michael Ames (Grey Ghost TV series). During the opening night of the Detroit performances, an incident occurred which focused all the attention to him. There was a scene in which John was to receive a list from another actor. When John asked for the list, the other actor discovered he had forgotten it and ran offstage to retrieve it. Meanwhile, John was left to completely ad lib until the other actor reappeared. After the performance, John was visited by New York producer J.J. Shubert, who thanked him for carrying on. Mr. Doucette took it in stride as he did it just about every night at the Pasadena Playhouse! As he stated, We did seventy-eight theatres in one year. Six weeks of one-night stands, and loving every bit of it. This was 1947 and it was a wonderful year in my life. 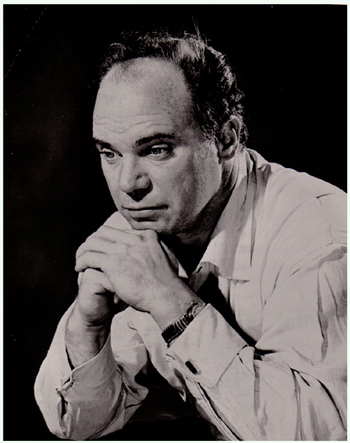 A second chance for films came to Doucette when he was approached for the film version of The Pilgrimage Play (1949) as he had done the play in live theatre before the war. A devout Catholic, John enjoyed this one since it dealt with the life of Christ and Hearing all these beautiful words right out of the bible made you feel like you were there. In addition to receiving twelve dollars per week for actor's wages, he was paid ninety-five dollars a week as the night janitor. After the shows, he swept the theatre, cleaned out the dressing rooms, and hosed down the front entrance. Since he had no home at the time, he slept on a chaise in the leading lady's dressing room. With the last showing of The Pilgrimage Play, John was beckoned back to the Playhouse for The Jest, an Italian opera adapted as a play, and originally done on Broadway by the Barrymore brothers. The play contained beautiful speeches that Lionel Barrymore had performed on Broadway and Doucette was cast in the same role: I opened one night and a week later I was working in a movie. That's how powerful it was. This was the vehicle that genuinely launched John's movie career. Film parts came with bigger roles, more money, and better billing. His IMDb credits include 138 films that spanned 44 years, and paired him with many of Hollywood's best performers. Many of his roles were uncredited characters such as the henchman in Columbia's serial Batman and Robin (1949). In addition to being on television with George Reeves, he was also in Rancho Notorious and Bugles in the Afternoon, both from 1952. He was Jack Elam's deputy in Thunder Over Arizona (1956), and the photo of the two of them is indicative of their relationship. John Doucette, Jr. stated that Elam was at the Doucette residence on many occasions as he and his father were good friends. The two men had hearty laughs and enjoyed many lighthearted moments. In high school, John demonstrated great athletic ability and proficiency as a gymnast, particularly on the hand rings and uneven bars. His physique with broad shoulders, chest, and strong arms proved ideal for the roles of livery owner/blacksmith in films such as The Fastest Gun Alive (1956) and The Big Land (1957). Doucette made four pictures with Duke: The Sea Chase (1955), The Sons of Katie Elder (1965), True Grit (1969), and Big Jake (1971). During the filming of Sea Chase Doucette received a telegram in Hawaii that his son, John was born. He considered John Wayne to be his best friend. John was given a mug from each of these films with special inscriptions by Wayne and they were among his prized possessions. I didn't care what I had to do to make people laugh; if I had to fall down, walk into a wall, spit or punch somebody out. I'd do it to make them laugh, to make them happy and that's why I always loved comedy, because it does that. It brings everybody out of the everyday doldrums. You're giving of yourself, and that's a great satisfaction. As with so many other performers, television became the medium through which many acting careers were renewed or begun. He appeared in 128 different series with multiple appearances in many. 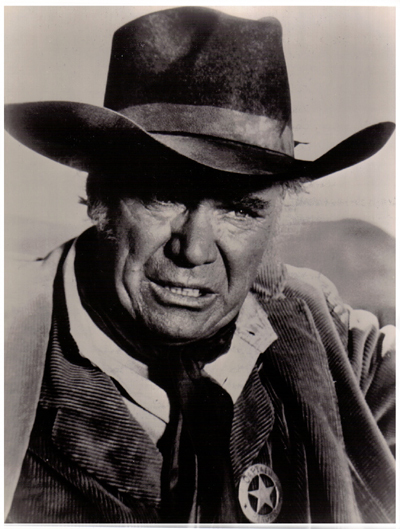 He was a familiar character in many western dramas such as Annie Oakley, The Lone Ranger, My Friend Flicka, Have Gun Will Travel, Gunsmoke, Bat Masterson, Wagon Train, The Wild, Wild West, Bonanza, The Virginian, Zorro and Kung Fu. Mr. Doucette loved horses but he never considered himself a true cowboy. Before he appeared in a western though, he would get acquainted with his mount, with occasional treats, but John also brushed him and took care of his stall. Three Bonanza episodes demonstrate the range of his acting ability. For Knight Errant, Doucette awaited his prospective bride; however, she seemed disappointed with him, but infatuated with Hoss. Embittered and feeling betrayed, John told the Cartwrights to get off his property and his facial expressions truly conveyed these emotions. He gave a commanding performance as the Reverend Evan Morgan, leader of The Brethren in Devil on Her Shoulder. When a lightning storm threatened his congregation, John, with outstretched arms, pleaded that no harm would come to his flock with great authority. His more sinister side came out in The Price of Salt when his character, filled with greed, attempted to monopolize purchase of the only source of salt for his cattle, causing devastation for all the other ranchers. John Doucette, Jr. accompanied his father to watch his dad at work on this episode. Two years after he and Jack Elam had appeared in film together, Doucette was paired with him again in the Disney Zorro episode, Slaves of the Eagle (1958). Another of his uncredited roles, he sported a pencil moustache, and full goatee as the stern and unforgiving tax collector. His coldhearted demeanor was felt in the delivery of the few lines he had. In Kung Fu's The Soul Is the Warrior (1973), John demonstrated his character's animosity most effectively as well as his horsemanship and handling of a bull whip. I always believed that actors who played villains were always the sweetest guys. One of my closest and dearest friends was John Doucette, who was just a pussycat. He was the nicest guy in the world, and he had a great sense of humor. John Doucette, Jr. recalls many instances of the Homeiers being at his home or vice versa. He thought Skip was a great actor and a great guy. He was like an uncle to the Doucette children. A note of interest is that during the time he appeared in TAOS, John did not have a car, so George Reeves picked him up and drove him to the studio. For Sea Hunt, Doucette hired Mike Nelson to supposedly locate shipwrecked vessels with his invention in Marvelous Treasure Machine (1958). John was very animated in this episode, quite agile, and did his own stunt work when he flipped Lloyd Bridges on the beach. As Nelson put it, Hale (Doucette) had the strength of a bull. The closest he came to having a starring role was in the series, Lockup, where he was partnered with Macdonald Carey as Lt. Weston. Although this was a serious drama, Mr. Doucette injected some humor into scenes with a more somber Carey. John showed some tough interrogation techniques and seemed to be more cynical than his counterpart. The show's 78 episodes aired from 1959-1961. His comedic roles included a two-part guest appearance on Get Smart, as Colonel Von Klaus in To Sire With Love - Part 1 and To Sire With Love - Part 2 (1969). This led to a recurring role in Don Adams' creation, The Partners. The humor was similar to Adams' first series, but was short-lived. Doucette portrayed Capt. Aaron William Andrews, whose role was similar to the Chief in Get Smart. He was never into collecting things from his acting days, but those mementos that he did have were precious because of the people with whom he worked. John Doucette, Jr. wrote to Clayton Moore and asked him to autograph a photo rearing on Silver. Moore not only autographed John's photo, but sent another back for John Sr. saying what a great "heavy" his dad was. John Sr. framed and displayed the photo in his living room. When John Jr. met Gail Davis (Annie Oakley) at a collector show, she mentioned how she loved working with his father and after she hugged him, there were tears in her eyes. While he was not into the collector show circuit, he enjoyed anyone who came up to him and complimented him on his work. Deeply religious, John refused roles that compromised his values and this affected his ability to work for some producers. His incredible talent, however, superseded any blacklist and he was not without work for very long. He loved comedy and he loved to laugh. Another little known fact is that Mr. Doucette designed the Summary Discovery Drama Camp, as an educational unit in acting, interpretive reading, technology, voice, dancing and writing techniques. This program was conducted for three summers at the University of Portland, Oregon. For his effort, the University awarded him an Honorary Degree in Fine Arts. In addition, he lectured in Communication Arts at Loyola University and had been a professional training instructor in the Theater of Arts for Palo Alto's California Educational Development Corporation. Mr. Doucette founded Stagecoach Acting School in 1973 with veteran actors Craig Roberts and Robert W. Mulkey in Banning, California. His son indicated that he actually taught there to help underprivileged kids have an outlet. He did this for no fee; this was a way for my father to give back and help the children of the local community. His distinctive voice afforded him the opportunity for several recordings of biblical passages and Native American legends and beliefs. Mr. Doucette may have been a marvelous character actor, but, as with any businessman, he left work at the office. Once he set foot inside the door of his home, he became just Dad. As he told his son years later, Johnny, all I wanted to do was make a living. He made sure his children had a good Catholic Christian background. His son, John told me that his father was the reason why he achieved his Eagle Scout status. There were never any bad memories of his parents as they were exemplary. All of his eight children were very proud of their father. John also loved motorcycles and had one up until his death. His pride and joy was a Honda Gold Wing, his transportation for many years. Admittedly, imagining John Doucette dressed in leather racing along with Steppenwolf playing in the background might be a bit difficult. Nevertheless, Michael Doucette has inherited his father's love of the bike and owns several of them. Having a father who was away from home must have been difficult on the family. The Doucette children were indeed fortunate to have accompanied their father while he worked abroad. Daughter Laurie was in Rome during Cleopatra and both Liza and Cynthia were in Almeria, Spain during Patton. John and his sisters also visited some of the television sets. They were on Hogan's Heroes, and Bonanza. Dan Blocker let John Jr. sit on his lap between takes and Lorne Greene was also very caring while in makeup at 6:00 a.m. While still in their school uniforms they sat in the audience for Here's Lucy while Lucille Ball gave their father a very nice introduction before the taping began. John Jr. was also on the set of Get Smart and Ed Platt (the Chief) was very kind and took the time to speak with Master Doucette. and the local horse rancher and the local grocery store. All knew Dad and he knew them. Special thanks go to John Doucette, Jr. and the entire Doucette family for the photos, stories, and their friendship. To Penn Genthner for supplying the programs and playbills for this project, I am extremely grateful. The article above titled John Doucette: A Fine Character Actor is the copyright and ownership of Colete Morlock and John Doucette Jr. and cannot be reproduced by any means, in whole or in part without their written permission. All photo images are the property of John Doucette Jr. and cannot be reproduced without their written permission.